The new Axiom MFDs are compact all-glass designs said to be very fast and capable with their quad core processors and ample memory chips, and you can learn much more by digging into the Axiom MFD web pages that just went live. 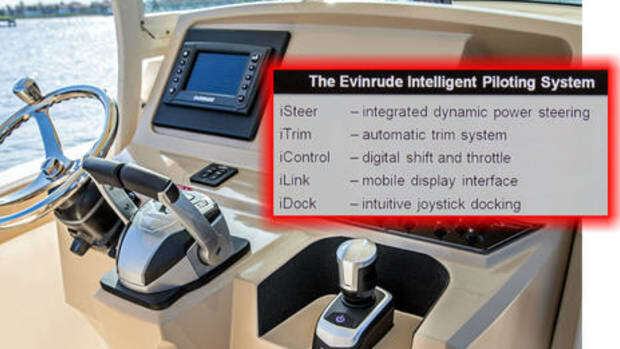 For instance, if you want more than the multi-touch interface, you can add the new RMK10 remote keypad and/or the RCU-3 steering wheel remote. And while the slim Axioms are designed to surface mount with back fastenings -- an Axiom 9 can purportedly fit where an old Ray A7 like the one on Gizmo used to live -- there will also be a rear mount kit for flush installs and a front mount kit for those who can&apos;t fasten things from behind a helm panel (and the in-the-box trunnion mount choice of course). 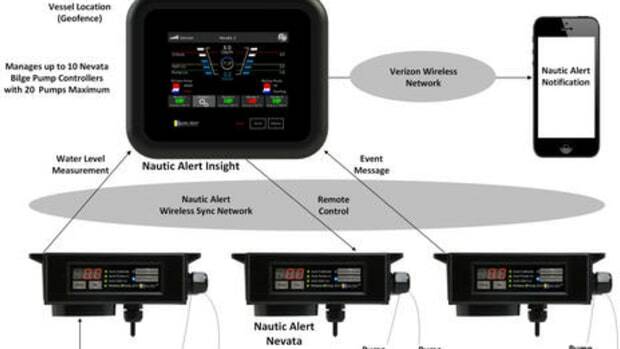 The Axioms include WiFi, Bluetooth, NMEA 2000 and Ethernet communications, and they&apos;re compatible with most all of Raymarine&apos;s current displays, radars, sonars, etc. 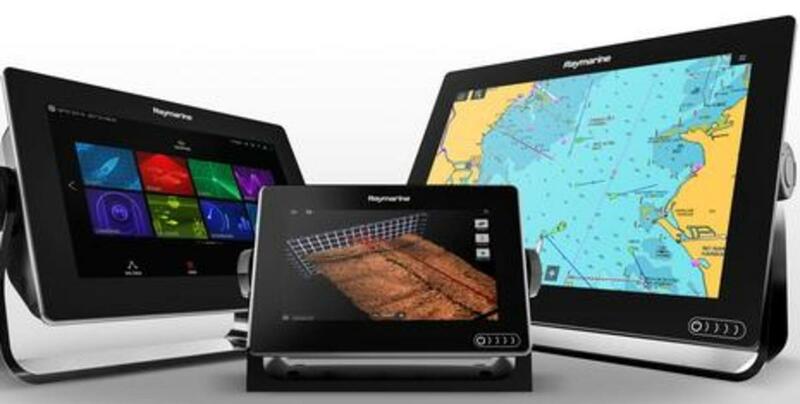 And, yes indeed, the Axiom 7 plotter-only model is just $650 retail with Lighthouse U.S. charts, and included Navionics+ US and Canada charts add just $50 more. 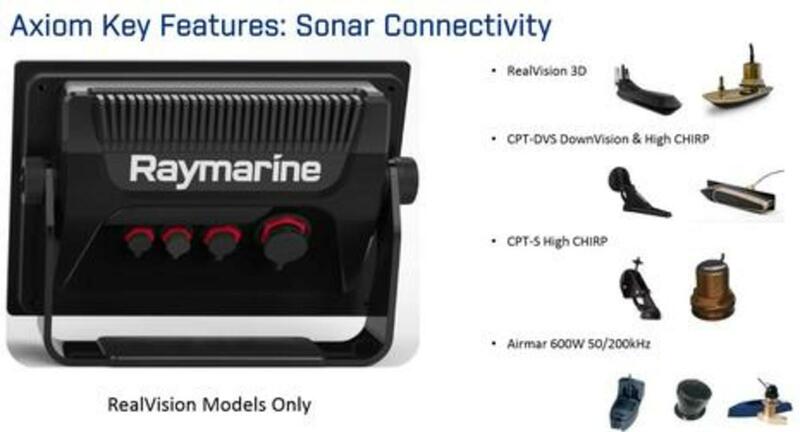 Many Axiom models, however, are designed to show off the new 4-in-1-transducer RealVision technology that Raymarine is also introducing today. 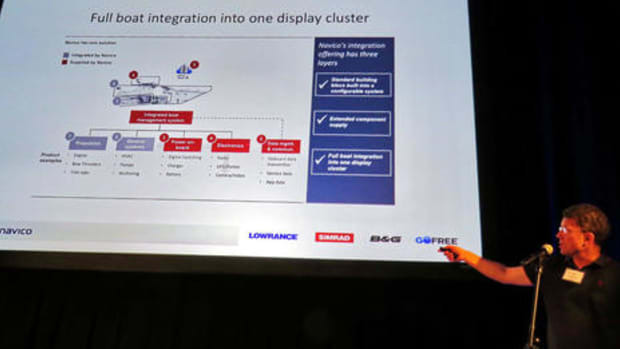 That&apos;s the RealVision RV-100 transom transducer at upper right in this slide from the preview presentation I received, and alongside is one of the RealVision thru hull transducers that will be available when all this gear ships (soon, purportedly). In fact, there will be RealVision thru hull transducers with 12 and 20 degree tilted elements so that many boats will be able to fit a linked pair without fairing blocks but with a full SideVision view as well as the 3D. While there&apos;s more on RealVision below, note here all the other transducers that some Axiom models can support. Moreover, I understand that multiple transducers will be able to Y into that large rear sonar port. Meanwhile the other ports in this streamlined design are for RayNet, USB, and a combined 12/24 volt DC power and NMEA 2000 cable. The N2K connector will be standard DeviceNet, with an adaptor available for those who&apos;d like to use SeaTalkNG style cabling (or already are). There&apos;s also a protected micro SD card slot on the back of Axioms, though there will also be a remote dash-mount SD card reader available and it will even include a powered USB port. 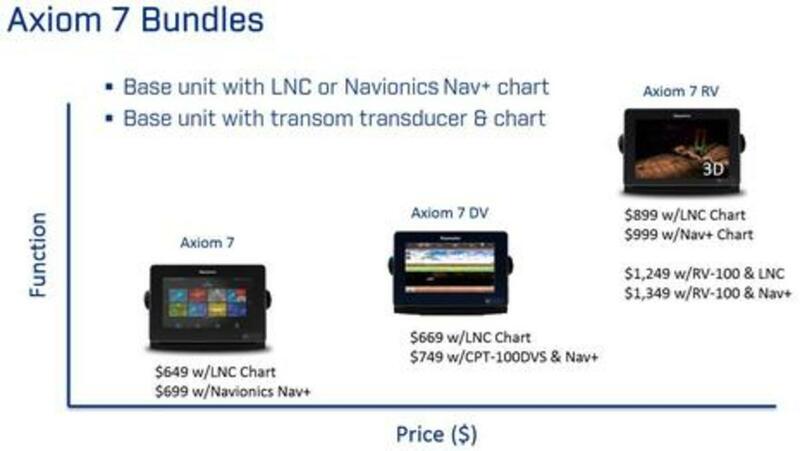 So here&apos;s the Axiom 7 pricing picture with sonar included, and Raymarine is proud about it because existing 3D sonars like Lowrance StructrureScan 3D and Garmin Panoptix RealVü currently cost almost as much or more without the MFD. 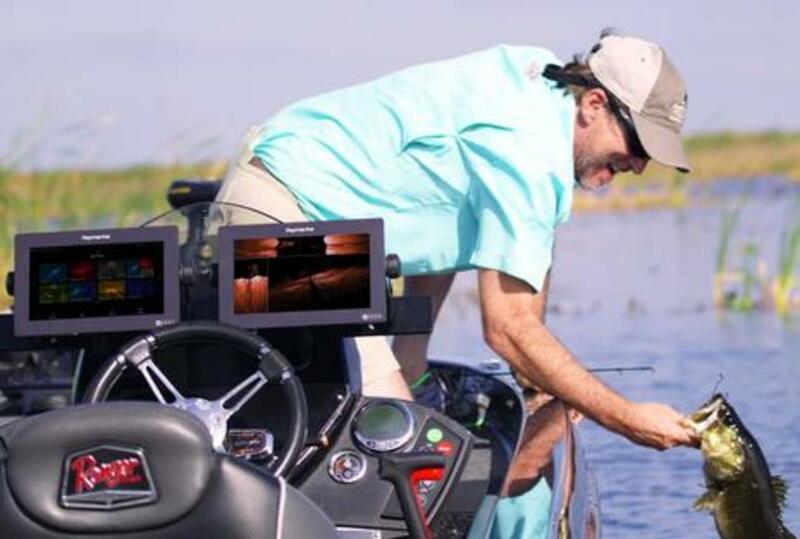 I haven&apos;t seen RealVision for real yet -- hopefully that will happen tonight and tomorrow -- but the 3D imagery looks a lot like the Lowrance SS3D I found quite fishing effective. 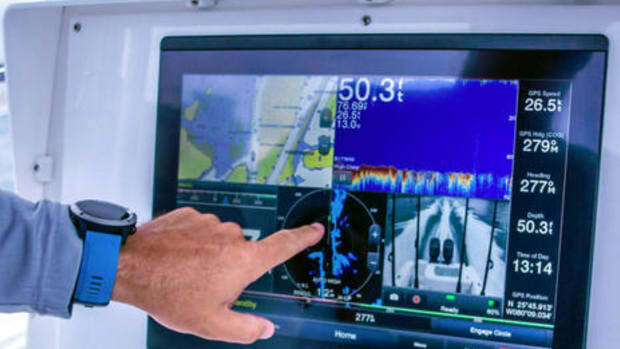 Moreover, the RealVision transducers include AHRS-based "gyro stabilization" that sounds a lot like the technology I&apos;ve watched keeping Garmin Panoptix imagery steady even in a small overloaded demo boat. 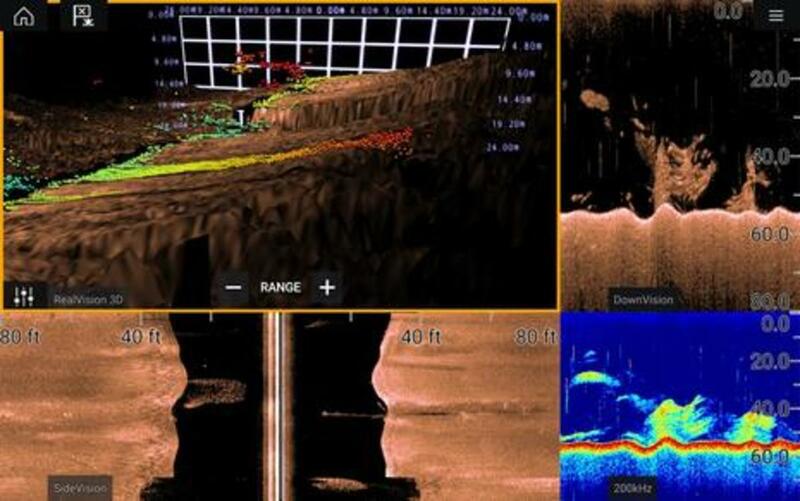 There&apos;s more on RealVision 3D Sonar here, but you may appreciate the high-resolution screen thumb-nailed above (click on it for full size, like other Panbo images). What you&apos;re looking at is all four RealVision sonar channels working simultaneously, plus you&apos;ve finger panned the 3D view a bit right from the default stern view. 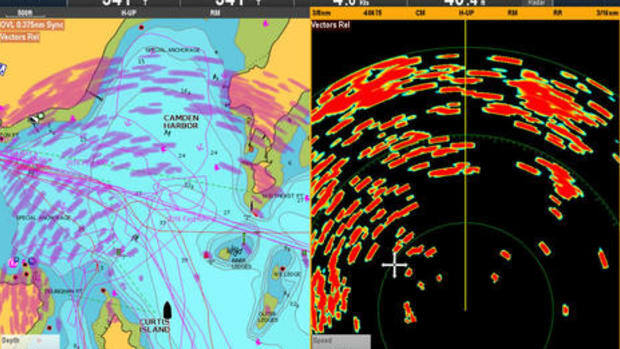 The white grid shows where your boat is in the 3D space, so those red and yellow "balls" near the grid -- they&apos;re color coded for depth -- represent the same fish or whatever seen off the bottom in the three other views. This screen also shows how Axiom with Lighthouse 3 lets a user build pages with custom size windows, quite easily I&apos;m told. 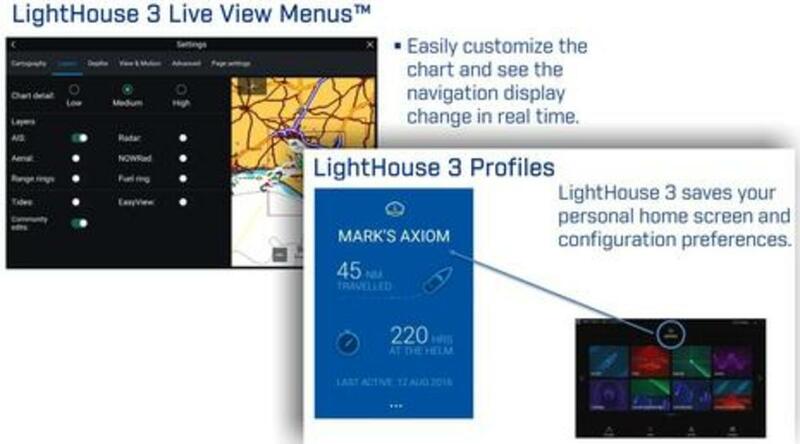 While LightHouse 3 is a major rebuild of Raymarine&apos;s operating system -- lots of LH3 detail here -- one design goal was to keep the interface familiar to current Lighthouse users. 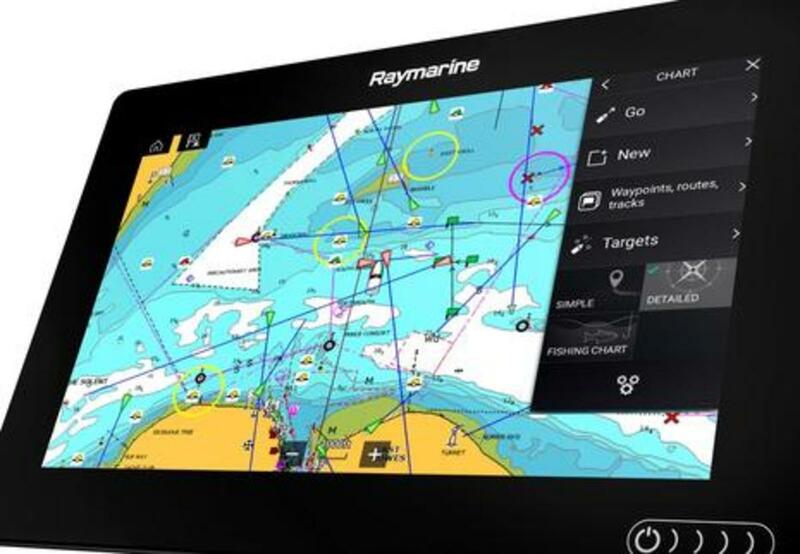 In fact, LightHouse 3 will be coming to existing Raymarine MFDs, though it may take six months or more and some features may not be possible on older hardware. 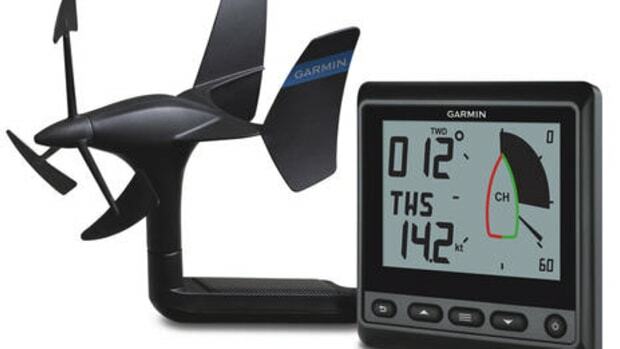 By the same token, not every feature seen in the latest LightHouse R17 software will be available in the initial release of LH3 -- advanced sailing features and full autopilot setup are examples -- though they will be eventually. While there&apos;s lots to LightHouse 3 (even an "Android layer" for you geeks keeping track), these slides illustrate two features I particularly like. One is live view menus, meaning that you get to see the effect of menu choices before you commit to them. That&apos;s being done elsewhere, and should be everywhere in my view, but I think that individual MFD profiles are new. Again, I haven&apos;t seen the feature live yet, but I gather that we&apos;ll be able to custom set up an Axiom for ourselves and also for other members of the crew or guests. Nice! 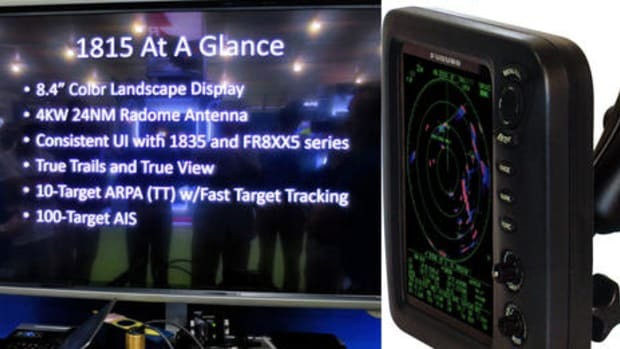 Now here&apos;s a peek at what FLIR is calling "ClearCruise intelligent thermal analytics technology" and which so far at least is only available with Axiom and the new M100/200 Series cameras. Apparently ClearCruise can identify solid objects visible on the water in the camera view and can do it even while filtering out solid objects above the horizon. In fact, it can even alarm you when the camera image is not on screen. All of which sounds quite intelligent and useful, even with the fixed M100 Series with a first model retailing at $2,495. This slide collage shows how the 9-inch-high M100/200 cameras look in comparison to their M cousins, and also the new compact JCU-3 controller that can be paired with the pan-and-tilt M200 Series (with a first model price of $3,495). 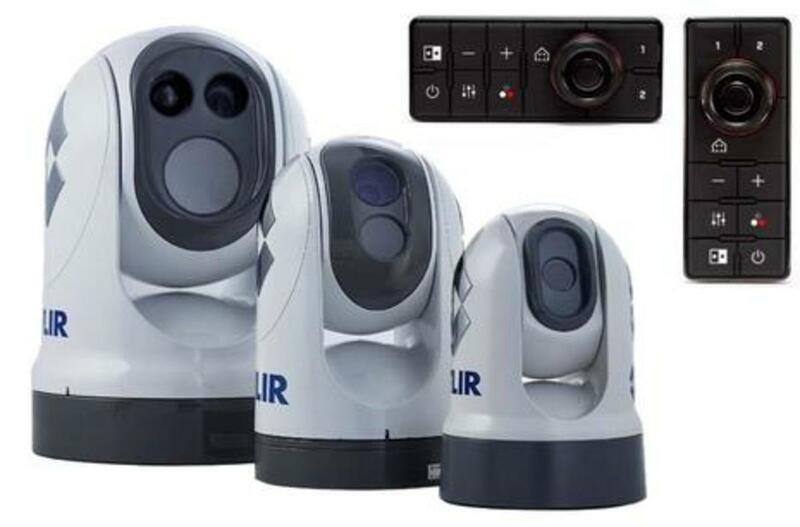 The M100/200 cams also use IP over Ethernet for video as well as control, which means that they will be easier to install and that they will network across multiple displays without the bother of analog video coax cable switching. 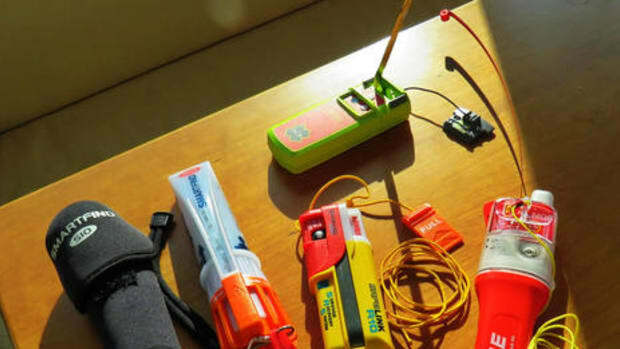 I hope to double check tonight but I suspect that the M200 Series can also cue and slew to selected targets -- a terrific feature I experienced with the test M618CS -- and if they can&apos;t at first, they should be able to eventually. And, incidentally, most of the orginal M cams are getting refreshed to M Series Next Generation with improved cam cores, zooming and more. Are you tasting the BAM! yet? 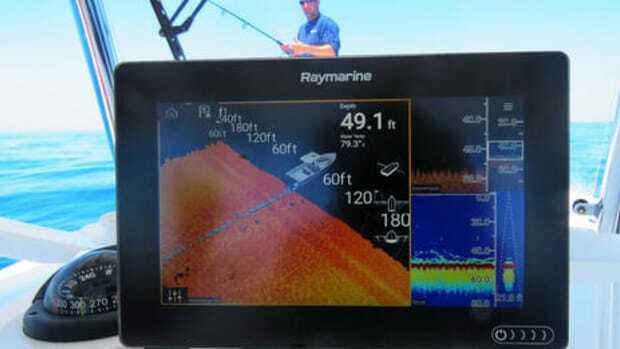 Now obviously Raymarine has aimed Axiom and RealVision at the huge smaller boat fishing market, but they struggle to be reticent about how these developments could work themselves up and down their product lines. 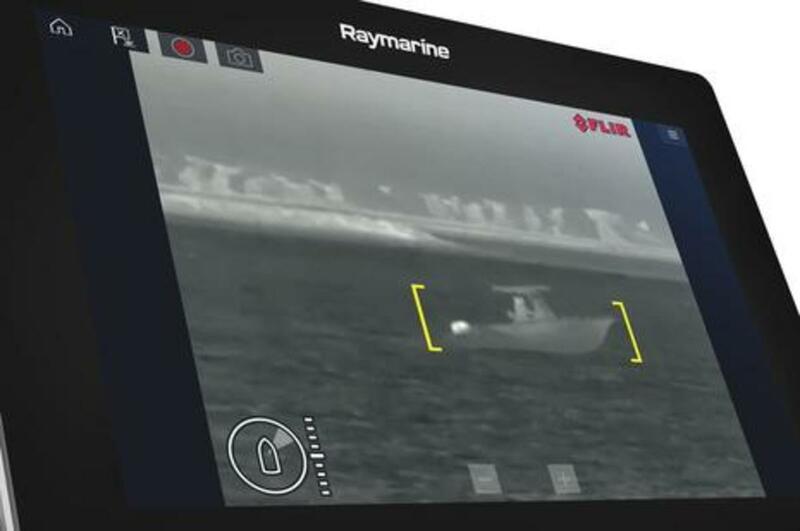 I will report on Ray and FLIR demos in the comments section below at minimum, and there will no doubt be lots more electronics news in Miami. It&apos;s show time!